I’ve posted in the past about innovative Brazilian programs in the states of Ceará (CE), Mato Grosso (MT) and Rio de Janeiro (RJ) to get people to turn in recyclables in exchange for getting a reduction in their monthly electric power bill. 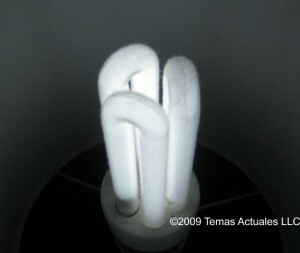 One of the programs I liked was Consciência EcoAmpla, run by Endesa‘s subsidiary in RJ state, Ampla. Now it’s added another twist that to my eyes makes it even more interesting. What has made the EcoAmpla program noteworthy? For one, the range of recyclables that they accept. Their dozen collection posts [Araruama, Cabo Frio, Niterói (several), Petrópolis, São Gonçalo, São Pedro da Aldeia, Teresópolis] accept most metal (aluminum cans, iron, bronze, stainless steel, lead, antimony, tin — copper is not accepted), most paper (white paper, colored paper, cardboard, newspapers, magazines), plastic packaging (particularly PET, plastic bags), glass bottles and containers, Tetrapak, and used cooking oil (which will be sold to companies that make soap and biodiesel). Another is the way Ampla arranges the trade — they use personalized electronic cards. When a client brings in recyclables to the center, they are weighed and their value is calculated depending on type (aluminum cans or PET bottles, for example, get better values than cardboard). The value is credited to the card, which can be used as discounts when the client goes to pay his/her electric bill. Ampla says that in one year its EcoAmpla program has received 400 metric tons of recyclables, registered 35,000 clients in the program and given $67,000 in discounts on electric bills. The new twist is that Ampla is encouraging clients to exchange their used “yellow” (incandescent) light bulbs for (more expensive but more efficient) compact fluorescents. And if they trade in 10 bulbs in one month, they can participate in a drawing to win one of five (energy-efficient) Cônsul 300 refrigerators to be given away. By getting their customers to switch to CFLs, Ampla helps households lower their monthly household bills — and of course it frees up some capacity for Ampla. What’s next for the program? Introducing a mobile trade-in post in Niterói. I’ve said it in the past, but it bears repeating: I would love to see Endesa implement this program in the other markets in which they operate in Latin America, namely Argentina (Edesur), Chile (Chilectra), Colombia (Codensa) and Peru (Edelnor). I also would like to see other power utilities follow suit. Should Other Power Companies in LAC Adopt Recycables-for-Power Programs?